Since 1927, Tuthill has manufacturing highly engineered positive displacement pumping solutions on the southside of Chicago for a wide range of applications in the chemical, oil, and process industries. Tuthill is known for providing great performance in difficult fluid transfer applications. Our Tuthill offerings include lubrication pumps, gear pumps, mag-drive pumps, and the entire Fill-Rite brand. The L&C series cast iron PD pumps are the benchmark for lubrication and circulation applications for over 75 years. With only two moving parts, these pumps can handle high viscosities and sustain a constant flow at any pressure. The lubrication pumps have a simple, compact design with high efficiency and longer life. 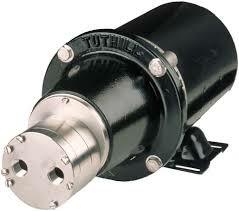 Tuthill gear pumps are bidirectional allowing the pump to reverse flow direction without valves. Tuthill’s magnetically coupled D,T, and P series are miniature gear pumps designed for exceptional reliability. They feature leak free, seal-less technology and come in a variety of materials to meet your application needs. The W series is a special magnetically coupled pump specifically for harsh environments in water and wastewater treatment. The entire FILL-RITE division of Tuthill is also available, offering the industry’s best AC and DC fuel transfer pumps and chemical transfer pumps. Every pump and meter has over 50 years of experience built into it with the pride of being “Made in the USA”. The L and C series are cast iron positive displacement rotary gear pumps with unique reversing features as well as mounting, driving, and sealing options to any applications. With a wide range of sizes and models there is a good range of pressure and flow options to choose from. They are self-priming and can handle viscous fluids. With only 2 moving parts the L and C series. Tuthill’s FILL-RITE lines are the industry standard for fuel transfer and chemical transfer pumps, meters, and systems. There is a wide variety of models to choose from for their flagship AC and DC fuel transfer fuel pump lines, even pumps for biodiesel fuels B20 to B100. 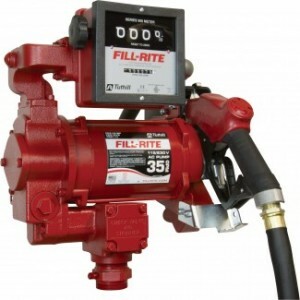 FILL-RITE also has pumps and products for diesel exhaust fluid (DEF). Their full range of products include flow meters, AODD pumps, fuel transfer systems, fuel/chemical transfer pumps, dispensers and many more. The D, T, and P series pumps have been the forefront of miniature magnetically coupled gear pumps since 1977. They are magnetically driven, sealless external gear pumps coming in a wide variety of magnet options including Ceramic (Strontium Ferrite) and Samarium Cobalt for a broader temperature range. 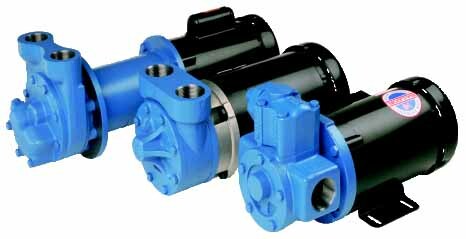 With material options such as, 316 stainless, hastelloy, titanium, and engineered plastics these pumps have a long life and are very reliable. The D and T series are ATEX approved. 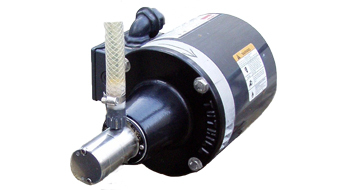 The W series is a magnetically driven external gear chemical metering pump. Especially useful for metering sodium hypochlorite (bleach), these pumps can handle harsh environments in water and wastewater chemical treatment applications. Additionally, the external gear design resists gas vapor locking caused by outgassing sodium hypochlorite. The W series comes in 316 stainless, hastelloy, or titanium giving it a robust long life with a simple easy install and maintenance design.